Rubber compound formulas are the main factors in roller performance. In Metal Decorating, compression set, abrasion resistance, swell, ink receptivity, consistency and heat reduction are just some of the qualities determined by the compound formulas. 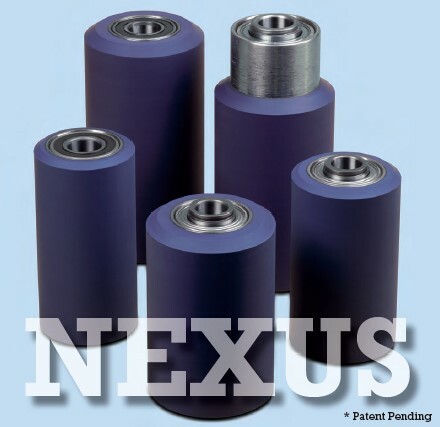 Introducing the NEXUS™ metal decorating can rollers. The NEXUS™ compound requires extensive milling time because of its resistance to shearing and abrasion. Our customers have experienced longer life in the form position up to a 5 to 1 ratio against the competition. What are the most important qualities of a metal deco roller? 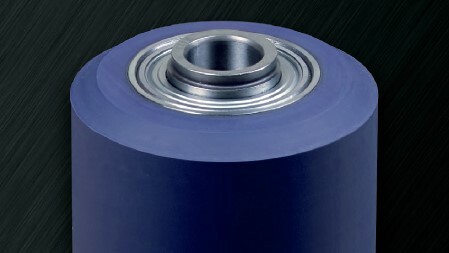 ABRASION RESISTANCE – No other roller can come close to NEXUS durability and endurance. INK RECEPTIVITY – NEXUS is formulated to maintain consistent ink transfer of high-quality imagery. CONCENTRICITY – NEXUS rollers are built on steel or aluminum cores true to .001” T.I.R. NEXUS™ maintains its profile through transfer cycle. A roller that holds its initial setting. All NEXUS rollers are ground on bearings to guarantee absolute concentricity. Shutting down for unscheduled roller changes causes costly downtime, loss of production and loss of profits. 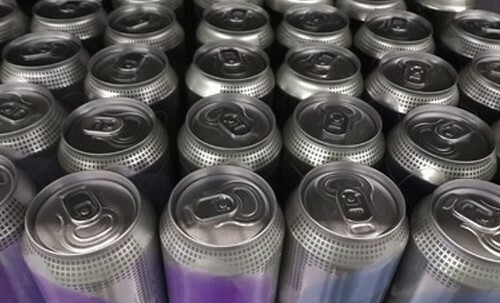 The NEXUS can roller is the only roller that will successfully maintain quality print throughout the entire laser engraved plate run… and then continue running additional labels. For more information contact our metal decorating can printing specialist Bryan Boyd.